Simplicity at its best defines the zodiac Capricorn very well. They love everything to be precisely on place in a simplest of ways and that too with keeping an eye on the budget. If you ca n gift a Capricorn a gift by immense sincerity then half the job is done for you. Wrapping things properly comes at amongst the top notch requirements when you are going to gift Capricorn some gifts. They would encourage the potential and energy you invested on packing and making it look perfect for them. 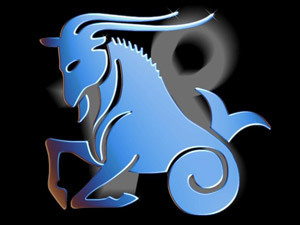 Capricorn generally are very loving and they try to have the most of the physical comfort in the world. Soft and cozy things have special space for them and they like to have simple and natural food to eat. You need to know their personality well before choosing any gifts for them. This would make it easier to select their gifts. They are quite practical in nature and would appreciate a thing that is valuable for them rather than those which have nothing but acquiring dust on it. You could take out a conclusion by checking out some of the below mentioned gift items that Capricorn used to love at any part of time. Soft and smooth items are on top priority for Capricorn. You could make them happy by giving more and more soft products. You could give them soft slippers, blankets, cushions and lot more which would make them thoroughly comfortable while they are at their home. They are very comfort loving and an evening coffee with comfortable cushions and falling sun would surely set the stage for talking for you. You could win their hearts through the pass of their stomach. You could make them and serve a delicious dinner or lunch. You could cook by yourself or can take them to the nearby restaurants to let their heart out by having some quality food with you. In order to have a cozy night with Capricorn, you need to begin it with a quality dinner and a candle light one to follow. A Capricorn loves to take special care of their house and its courtyards, backyards and other places. If you are informed about to help them cleaning them out, then you must took this opportunity and make them feel special. This certainly is not a material gift as such but certainly is a showcase of emotions that carries a diverse meaning. Read wood, pinewood, piece of sandalwood or any such natural material products make Capricorn happier than receiving artificial materials. Some sort of artistic piece of wood alone would make them happy. If you can, then you should give jewelry to Capricorn. It is better to give them something in real and not artificial. If you are not capable of that then you surely doesn’t need to worry as you have a host of other options apart from that. It is not the surprise parites that excite a Capricorn. Rather it is the surprise in their gifts which they look forward to.